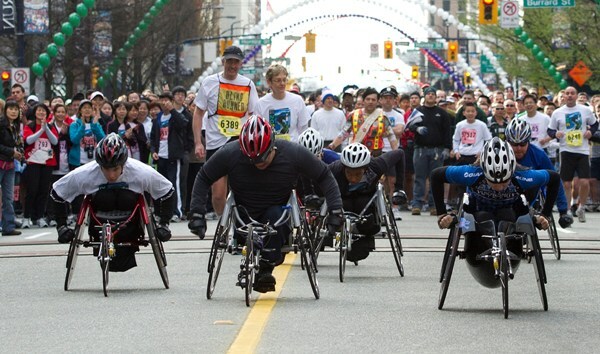 Wheelchair athletes can compete for a $2,000 prize purse and awards in Men’s and Women’s Open and Quad categories. Start Time: 8:40 a.m. at Burrard and Georgia. Assisted wheelchairs are most welcome but must start in the Walker’s zone which is the 1:45 plus time category. For complete rules, please email info@vancouversunrun.com.